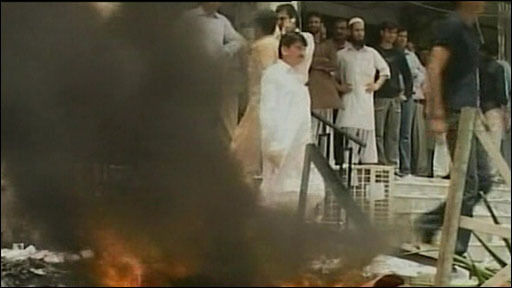 Angry investors in the Pakistani commercial city of Karachi have attacked the Stock Exchange to protest at plunging share prices. The protesters demanded a temporary closure of the KSE to stop further slides. Barbara Plett reports from Islamabad.